NGD: My first vintage guitar, and my best score to date! Discussion in 'Guitars in General' started by WoodenDuckMaker, Apr 21, 2016. 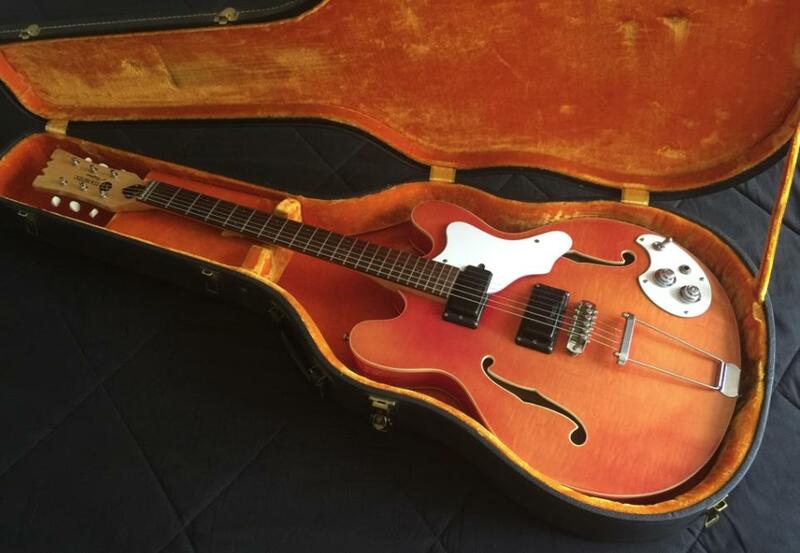 1966 Mosrite Celebrity III, all original. I absolutely love the guitar. Just got a professional setup done on it. It plays and sounds wonderful! 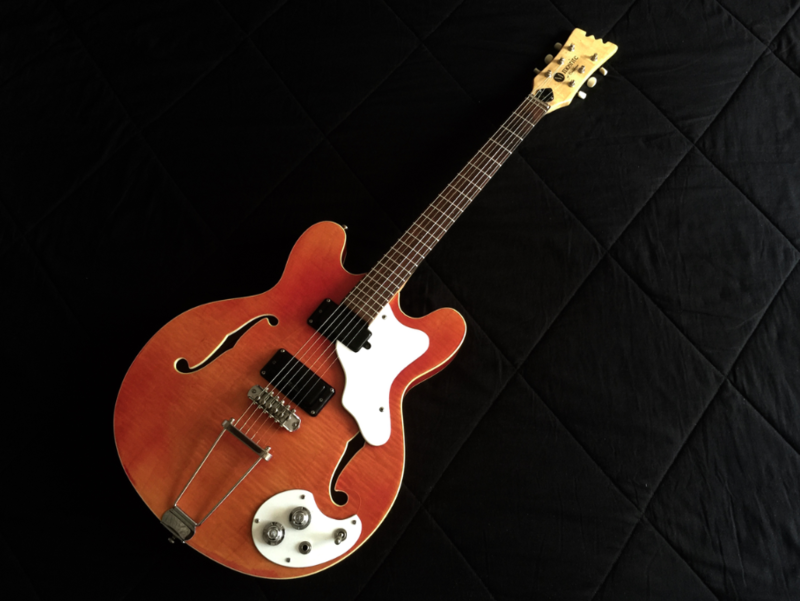 I've wanted a Mosrite since the late 90's, but could never afford one. I just got very lucky being at the right time and place when I found this one. Smashies, Mike Duncan, Tommy Biggs and 22 others like this. What are those pickups like? P90-ish? Crazy awesome deal!! You snagged it basically for the price of an Epi Dot. You could at least triple your money if you wanted to. Sweet. Love the color matching! Wow, that's a gem. Congrats. Nice, what are the pickups like? Wow that's a beautiful guitar! So cool, and an insane price. deadbeat son and Jetlennon like this. i like the digital compression effect the iPhone provides for you. That's an awesome unique guitar and it sounds really cool too. Congrats and happy belated NGD!